This splendid bird was once abundant in northern Wisconsin and Minnesota, but has declined dramatically since the 1980s. 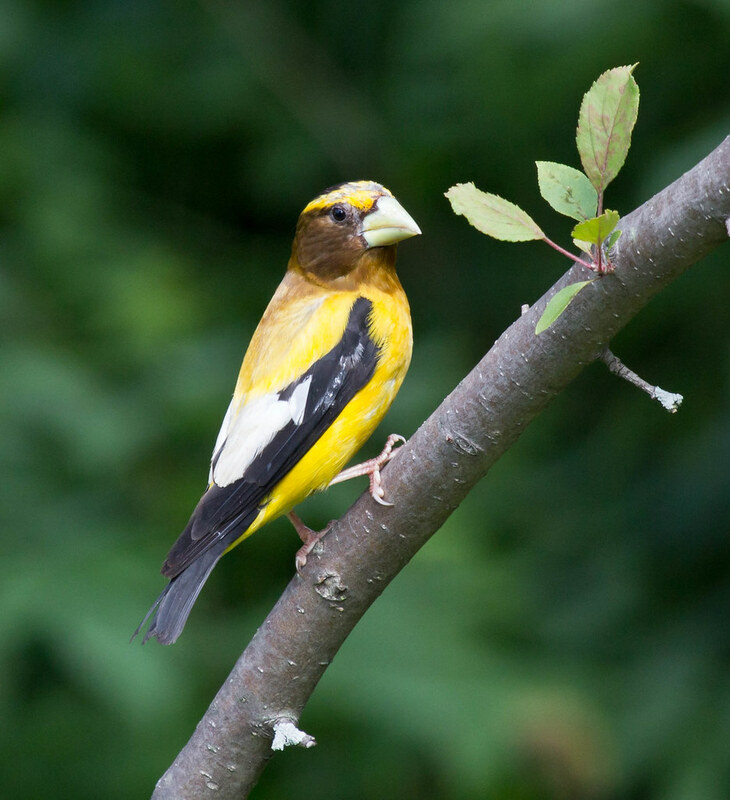 It was the first bird Laura heard when she moved into her house in Duluth in 1981, and Evening Grosbeak calls can be heard in the background of all the family videos of her kids from the 80s and early 90s, even indoor ones in winter when the windows were closed—that’s how abundant the grosbeaks once were. This was the American Birding Association Bird of the Year for 2012.